Norditropin is an injectable HGH supplement made by Novo Nordisk and is a FDA approved Human Growth Hormone. Like all other FDA approved human growth hormone (HGH), Norditropin is a 191 amino acid chain. 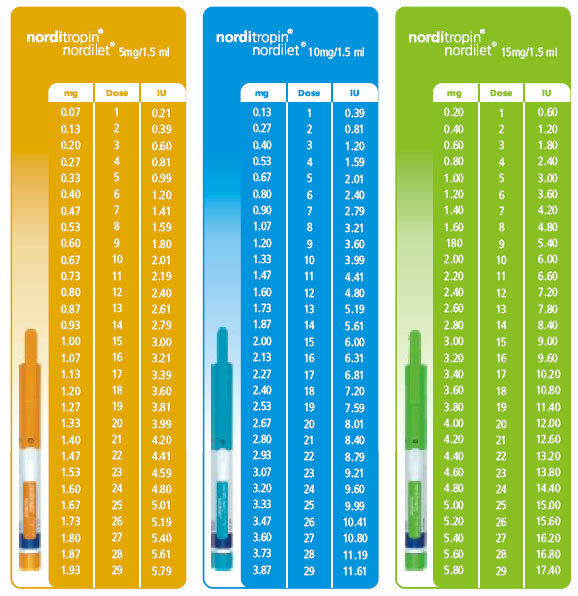 If you're going to buy a Norditropin injectable HGH pen, take a look at the FlexPro or NordiLet. The nice thing about Norditropin is the FlexPro Pen comes in a pre-mixed pen that has a miligram window for measuring. There is no mixing HGH with bacteriostatic water. The FlexPro pen comes with disposable needle caps, you do not need to mix or buy diabetic needles. The Norditropin Injectable Flex Pro pen by Novo Nordisk is by far our best seller, and while other companies offer FDA approved pens, Pfizers Genotropin, Merck Serono 8mg pen, and Omnitrope's 10mg pen, the price of Norditropin is much better with the same FDA quality. Our Norditropin injectable HGH FlexPro pens for sale are by far the best on the market. Our owner has been using the FlexPro pen for over 5.5 straight years now. Norditropin FlexPro pen with HGH dosage from Mike Guerrero on Vimeo.